The World Anti-Doping Agency has the best interest at heart for athletes competing in many different sports. 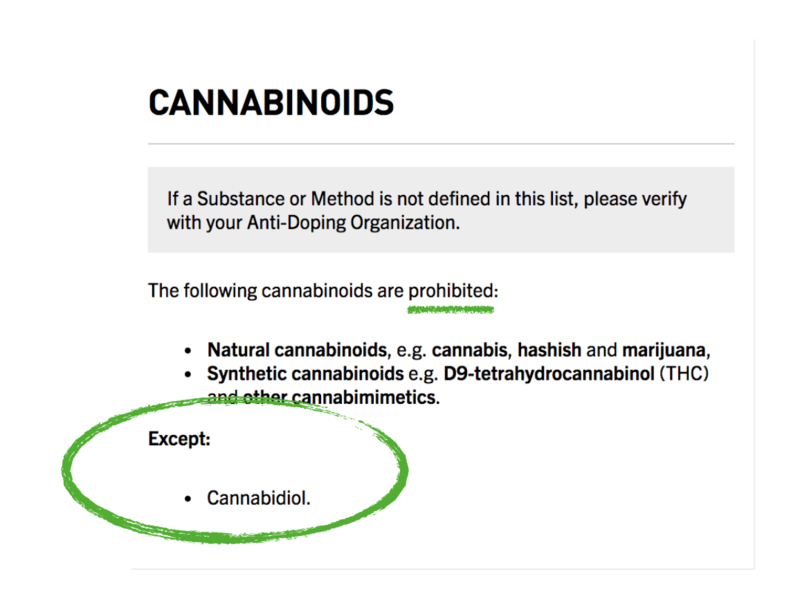 Recently the WADA took CBD of the banned substance list. When in competition be wary of using CBD as it’s a natural product, it can have tiny fractions of THC. Which may or may not show up on a drug tests. This is dependent of the amount which was in the product, your metabolism and the type of test administered.